Found 22 blog entries for December 2017. Welcome Back to The Cascade Team Shane and Anne Coulter! Friday, December 29th, 2017 at 11:58am. We hare very happy to welcome Shane and Anne Coulter back to The Cascade Team! Shane and Anne live in Sammamish and focus on the greater Eastside and I-90 Corridor. They are great members of the Team and I know many of you who have worked with them in the past will welcome them back, just as I’m sure many of you will look forward to getting to know them and work with both Shane and Anne in the future. Welcome once again Shane and Anne Coulter, they will be a wonderful addition to The Cascade Team and we look forward to seeing their success in 2018! Wednesday, December 27th, 2017 at 3:30pm. First of all I want to make it clear that this blog is intentionally working to be nonpolitical and non-partisan. 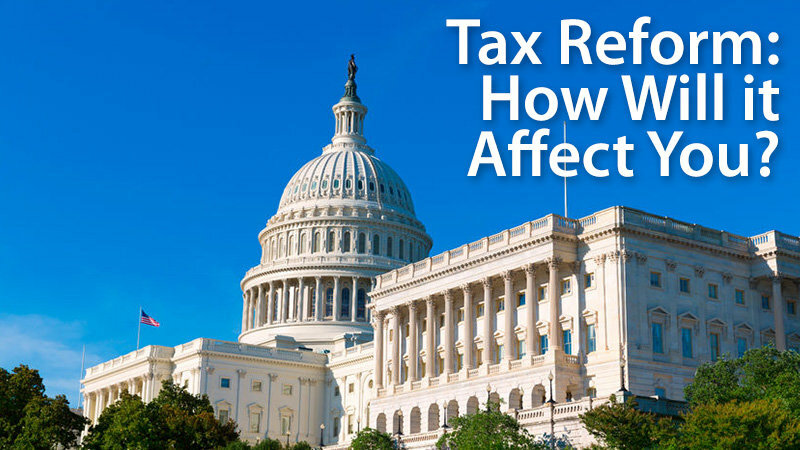 We're just going to directly state the changes to the current tax policy, how they are projected to affect the average home owner or buyer and of course those of us in the Real Estate profession. And while countless Americans will be impacted by the new laws, both for better and for worse, homeowners in particular will see a number of key changes take effect in the very near future. If you own property, here's what you can expect. Wednesday, December 27th, 2017 at 3:11pm. Nice summary. One question for you: the way the article is written (and, who knows, perhaps the law itself) it states While homeowners could, up until now, deduct interest on a home loan of up to $1 million, that cap will be lowered to $750,000 come 2018. Now if you have an existing mortgage, you don't need to worry about this change, but if you're applying for a new home loan in 2018, you should know about the impending cap. It states the homeowners can deduct interest on a home loan of up to $750k. What if a person gets a new mortgage of $800k. Does that mean that interest on that loan is not deductible at all, or is 75/80ths of that interest deductible? Wednesday, December 27th, 2017 at 1:37pm. Thursday, December 21st, 2017 at 9:32am. If winterizing your home is a foreign term to you, we are happy to share a little expert advice. The Winter Equinox is a good time of year to start thinking about preparing your home for winter, because as temperatures begin to dip, your home will require maintenance to keep it in tip-top shape through the winter. By focusing on upgrading and maintaining items that keep the cold air out and make your heating more efficient, the following winterizing tips are able to both decrease cold weather utility bills and make your home a cozier, more comfortable place to be in! · Call an HVAC professional to inspect your furnace and clean ducts. · Stock up on furnace filters and change them monthly. Thursday, December 21st, 2017 at 9:16am. It’s Winter Solstice – a good time to take a fresh look at your bills to see if you can reduce them. For example, try these tips to cut your power usage and lower your electricity bills. Switch to LED bulbs. About four times more energy efficient than incandescent bulbs, LEDs last for years. The “lumens” number indicates the amount of light emitted; use this to compare bulbs. Install a programmable thermostat. With this device, you can automatically adjust the temperature to reflect where you are in your day – busy at home, away at work, asleep, etc. It keeps your home comfortable when you’re there and reduces energy use when you’re out. Monday, December 18th, 2017 at 11:29am. 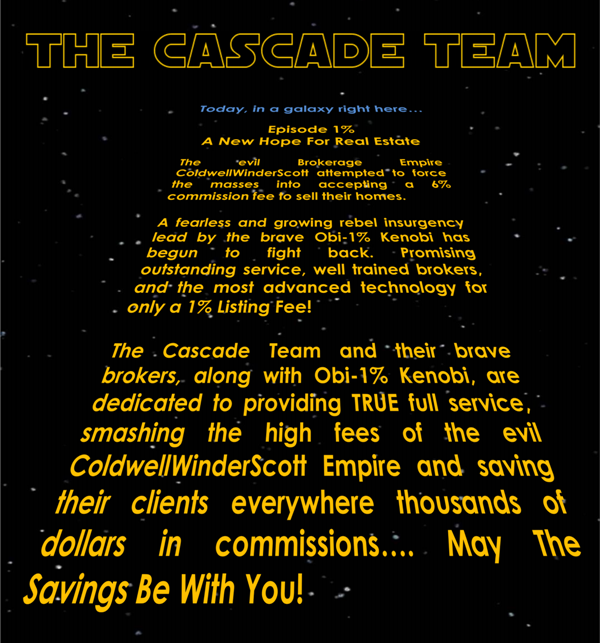 May The Home Selling Force Be With You! A solid real estate marketing plan is very important. It takes more than a MLS listing, sign, some paper flyers, and an open house to sell your home in today’s market. Make sure your real estate agent has real leading edge housing market intelligence. Our leading edge marketing plan is designed to sell your house as quickly as possible. Monday, December 18th, 2017 at 9:39am. Holiday season still drawing crowds! Friday, December 15th, 2017 at 12:50pm. Holiday Shopping Crowds – In The Local Housing Market! still drawing crowds at open houses along with competitive bidding in some neighborhoods. double-digits in most of the 23 counties served by Northwest MLS. Friday, December 15th, 2017 at 9:20am. up their purchasing, signaling strong confidence in the Greater Seattle area. Strong demand is not confined to Seattle. streamed through every device known to man. Buyers step up and buy, quickly and efficiently.